Looking for a New Nissan Murano in your area? CarGurus has 1,127 nationwide Nissan Murano dealers with 43,914 new car listings. The Nissan Murano enters 2018 much the same as before with a handful of changes and new standard options.The midsize, style-conscious Murano carries the automaker’s latest V motion front fascia and floating roof design trends. 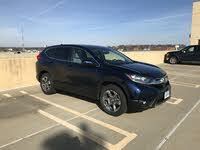 The model is simultaneously modern and clearly resembles older Muranos, and it continues to cut a sharp figure in its third model year on the market. With its zero-gravity seats and optional light blond wood, the interior invokes a contemporary lounge feeling. It’s also chock-full of all of the latest gadgets and presented in a calm and logical manner. Power for all Muranos comes from Nissan’s ubiquitous 3.5-liter V6, which is equipped with 260 horsepower and 240 pound-feet of torque and paired with a continuously-variable automatic transmission (CVT). This powertrain combination achieves fuel economy ratings of 21 city, 28 highway, and 24 combined mpg. While front-wheel drive is standard, all-wheel drive is an extra-cost option for all configurations and does not impact fuel economy. The Murano is certainly more tuned toward comfort than spirited driving, but it is certainly no slouch when you need a little power. The Murano comes in five trims. Owing to its near-luxury stature, the base S trim comes nicely equipped with 18-inch alloy wheels, keyless access and start, Apple CarPlay and Android Auto, a 7-inch instrument cluster LCD, LED headlight signatures, and LED tail lights. Nissan has made navigation standard for 2018 as well. The SV tacks on a leather-wrapped steering wheel and shift knob, remote engine start, a 10-way power driver seat, a 4-way power passenger seat, and fog lights. The new SV Premium Package builds upon these features with gunmetal alloy wheels, a Bose audio system with 11 speakers and two subwoofers, and a panoramic moonroof. The next trim, SL, comes with leather upholstery, heated front seats, a heated steering wheel, ambient lighting, a Bose audio system, and a hands-free liftgate. On top of this, Nissan offers a new Midnight Edition package with black 20-inch wheels, black exterior elements, and illuminated door sill plates. Finally, Platinum tops the range with a panoramic moonroof, LED headlights, heated and cooled front seats, a power tilt and telescoping steering column, and heated rear seats. Safety was already one of the Murano’s strong suits, and Nissan has taken an additional interest in it for 2018 with forward collision warning and automatic emergency braking as standard equipment for all trims. SV gets standard blind-spot monitoring and cross-traffic detection, and the SV Premium Package tacks on adaptive cruise control and driver awareness alert. In 2017, the Murano earned the Top Safety Pick designation from the Insurance Institute for Highway Safety (IIHS) for its strong performance in the agency’s tests. The latest Murano melds sculpture-like styling with impressive features and a level of comfort and quality befitting a true luxury car at thousands less than one. Nissan’s 2018 updates provide even more value, making this crossover a solid buy. 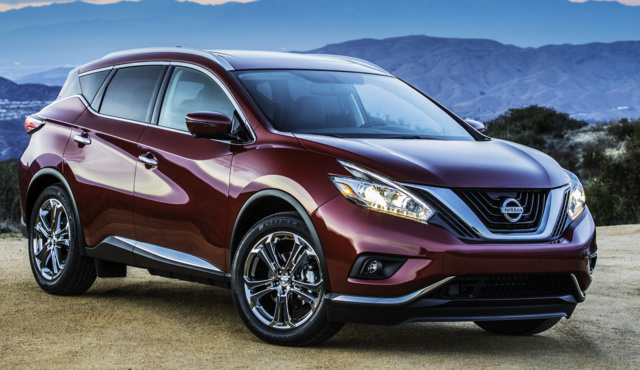 What's your take on the 2018 Nissan Murano? GuruX4KH6 Had it for a week, most luxurious vehicle i've ever had, and i've had Thunderbirds, Grand Prix, and Charger. Have you driven a 2018 Nissan Murano? Enter your zip to see incentives for a new Murano in your area. CarGurus has 25,324 nationwide Murano listings starting at $1,999.